Conference rooms and boardrooms have long been a key space within a business environment, where people can meet, share, collaborate, update, brainstorm and make decisions, face-to-face, in a comfortable and professional environment. With over 15 years experience in designing AV and conferencing solutions for boardrooms and meeting spaces, VideoCentric provide assistance and expertise through every step of your project, to help you and your teams get the best out of their meeting room experience. With tailored designs and bespoke proposals, analytics and savings assistance, free training and award-winning support, we ensure your meeting rooms and boardrooms will fully enhance collaboration, improve productivity across your organisation, and have clients and customers leaving your organisation with an impression they won’t forget. Today’s modern conference rooms and boardrooms don’t just enable face-to-face meetings to take place; they provide the collaborative tools, innovative technology and flexible, comfortable layout to make meetings far more productive, efficient and streamlined. And a well designed and sleek space doesn’t just improve your internal conferences and meetings – it gives a lasting impression of your business to both new and existing customers too. 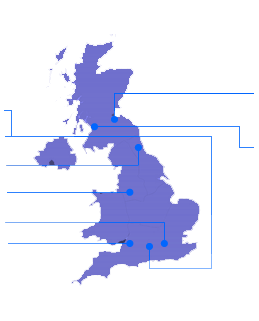 A one-size-fits-all approach doesn’t work – every organisation has different needs and spaces, and so we ensure we are fully accredited & trained with all the world’s leading manufacturers of collaboration equipment, but also provide a huge range of flexible services to support you from your initial investigations through to long-term expert support. In any business environment today, technology is crucial. Many of today’s meeting rooms lack even the basic technology we use at our desks, let alone the ability to integrate the vital tools and technology we use on a day-to-day basis, such as laptops, smartphones and tablets. 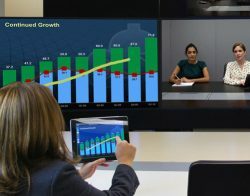 The implementation of the correct tools in the meeting room that allow organisations to easily and quickly communicate with those located elsewhere – whether employees working from home or remotely, or guests and customers based in different towns or countries – is key to improving the meeting experience for everyone. Every organisation has different requirements, different budgets, and different workspaces. But in general, the need to see and hear every meeting participant, and share information with them, is crucial to almost every meeting. And it doesn’t just need to work, it needs to be simple, facilitate collaboration and ultimately enable people to work better and more quickly. Positioning of audio equipment such as microphones and speakers. Some larger rooms may require an installed audio solution to ensure clear audio is picked up, no matter the position of the speaker. For a boardroom, perhaps consider a speaker tracking camera, or acoustic technology that positions the speaker in the right position in the room at the far end. For a long room, a good zoom on a camera may be required, whereas a wide room may need a wide-angled camera installed and additional micpod extensions. Professional displays, projectors, interactive panels, and flexible furniture may all be key considerations too. It’s important to look at the details of your room, and plan and design the space efficiently. Site surveys, room diagrams, electronics and wiring mapping, and trialing of equipment may be necessary to get this right before you make a purchase. Sharing of information is key, whether a 100% in person meeting, or connecting with others around the globe. How will you make it simple for employees to share their data and presentations onto the room display, enable others to collaborate and annotate on this easily both in the room and remotely? Simple, through wireless sharing and by enabling multiple people to connect at any one time. Easily shared remotely if and when needed. How about recording of your conference for reviewing content at a later date? Is this a requirement of your business or could it hugely benefit your staff or students to be able to revisit what’s been discussed? HR, training departments and corporate announcements, alongside legal and financial organisations regularly use and benefit from recording solutions in their meeting room – how could this benefit you? – above shows 3 content sharing windows and one video. A wireless network audit, or trialing of specific equipment and tools could assist with ensuring you make the right investment, and providing some simple training or adoption services could help your teams make the most of the available kit. Bringing anyone into the conference enables homeworkers, guests, clients and customers to take a seat at the meeting, wherever they are located. 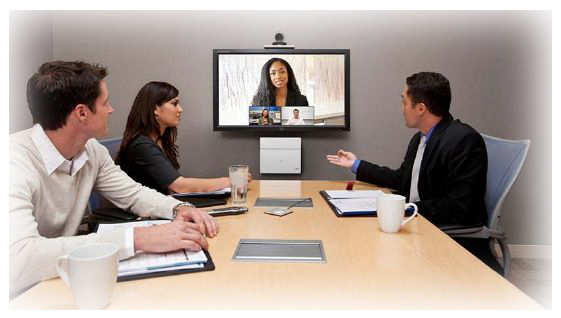 Can desktops call into the meeting room? Can a mobile device call into your conference? Can a standards-based system call a proprietary solution? Integration with other devices – medical (endoscopes, PACS etc), CAD software, BIM software, previous investments, your PBX/VoIP system? Cost – a system may seem “cheap”, but will it actually work in your space? 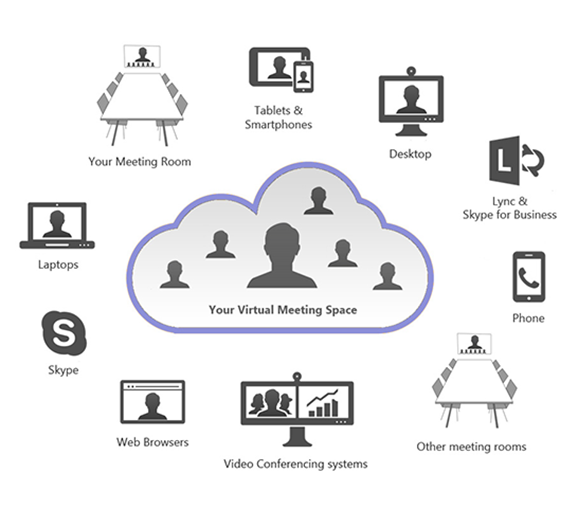 A Virtual Meeting space, in the cloud or on-premise, may be a great way to connect a range of devices, without overspecifying your meeting space. 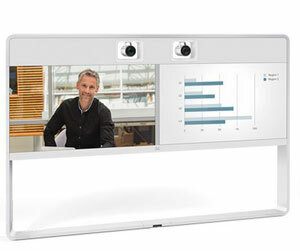 Codec’s and equipment can either be stand-alone, and include features that enable multiple people to be in the conference at any one time, or connect to on-premise or cloud based services, to provide the additional features needed for efficient teamwork. Ensuring codecs and equipment are properly installed and configured, and that your desired outcomes and business requirements are understood before implementing any specific solution, are key to getting this right. As a leading integrator in Video Conferencing and Collaboration solutions, with over 15 years of experience in designing & upgrading boardrooms and meeting space, we can provide assistance in every step of your project, to help your teams get the best out of their meeting room experience. From working with our Business Value analyst through design stages, detailed proposals and assistance with analytics and savings, to utilising our onboarding sessions, free user training throughout the year and direct access to our support team that will get to know your setup and environment directly, we can ensure your meeting rooms and boardrooms will fully enhance collaboration, improve productivity across your organisation, and have clients and customers leaving your organisation with an impression they won’t forget. Our portfolio of sleek and stylish boardrooms ensuring complete attention to detail from bespoke display and furniture integration down to specific wiring and connector choices, has lead us to gain a reputation that we are proud of. We can provide pictures of our past customer installations, to prove the quality and workmanship in our designs and installation – so get in touch and find out more about how we can help you transform your meeting rooms and boardrooms into vibrant collaboration hubs for the modern workforce.